Robert Ray Fisher, 72 of Kent, Ohio, and formerly of Lodi, Ohio, passed away Saturday, March 30, 2019 at Kent Health Care, following a yearlong, hard fought battle with cancer. He was born January 22, 1947 in Lodi to Fabern and Dona (Stair) Fisher. 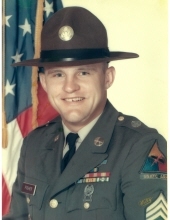 Bob graduated from Cloverleaf High School in 1965 and enlisted with the U.S. Army, where he served with the First Cavalry for 6 ½ years. Following his military service, he began work as a truck driver, driving for a number of companies before retiring 7 years ago. He was preceded in death by his parents, brother Richard Otis Fisher, and grandson Alex Fisher. The family would like to thank the staff of Ohio Living Hospice for the care provided to Bob. A Graveside Service with military honors will be held Tuesday, April 9, 2019 at 2:30 PM at the Ohio Western Reserve National Cemetery. Pastor Chris Patton will officiate. Casual attire is requested by the family. In lieu of flowers memorial contributions may be made to Ohio Living Hospice, 83 N. Miller Rd. #101, Fairlawn, OH 44333. "Email Address" would like to share the life celebration of Robert R. Fisher. Click on the "link" to go to share a favorite memory or leave a condolence message for the family.